For the P Zero RFT, Pirelli combined all its knowledge from over 100 years of motorsport experience. Pirelli created the P Zero RFT to be their maximum performance summer tires for the most powerful sport cars and high performance sedans. The P Zero’s tread is created from a unique silica and carbon blend, black tread compound that increases performance and handling. Even when the tires are cold, they will deliver the same consistent performance drivers have come to expect from Pirelli tires. The Pirelli designed asymmetrical tread guards against tire deformation; it enhances response time and minimizes unsafe hydroplaning in difficult wet weather. 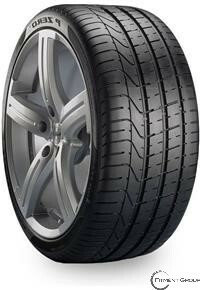 Additionally, Pirelli’s special nano-composites protect against tire deterioration and offers long lasting tire life. With the P Zero RFT tire, drivers will experience a smooth, quiet and comfortable ride.